Luis Otero is a rising third year student at The George Washington University. Born in Guanajuato, Mexico, he was brought into the U.S. at the early age of one. He grew up alongside his three younger siblings in Cornelia, GA before moving to D.C. in 2016 to pursue his collegiate studies. As part of the inaugural cohort of Posse Scholars at GW and a member of the University Honors Program, Luis is pursuing a Bachelors of Business Administration, double majoring in International Business and Business Economics & Public Policy. 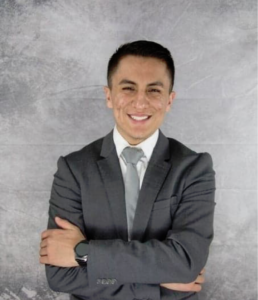 A first-generation and DACA student, Luis has been a avid advocate of immigrant rights, specifically pertaining to educational equity and access. This has influenced his work with special populations of students, such as first-generation, DACA/Undocumented, and minorities. This best exemplified through his work with The Hispanic Organization Promoting Education as a student leader throughout high school, and most recently as a Graduation Coach for its high school juniors and seniors during the past two academic years. An active student leader in the GW community, Luis balances his passion for business as well as community building through his involvement in a variety of student-led and University-sponsored initiatives. This year he represented the School of Business in a team of four at the National Diversity Case Competition at Kelly School of Business, tasked with devising a Diversity and Inclusion strategy for Target Co. He spearheaded the organizing of the AL1GN conference, a convocation designed to mobilize and support first-generation college students, in his role as President of the First-Generation-to-College student organization. His contributions to student life were recently recognized at GW’s 33rd Annual Excellence in Student Life Awards when he received the GW Wall of Fame Award. Luis hopes to pursue a joint MBA-J.D. 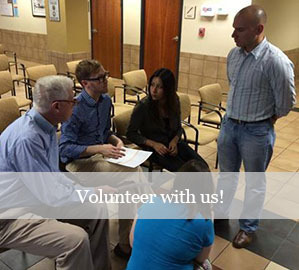 degree in the future, and he hopes to leverage his experience and background in order to help GALEO this summer to stimulate Latino civic engagement in the great state of Georgia ahead of the midterm elections to increase voter-turnout among this group.